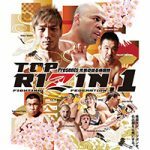 Rizin Fighting Federation 1 takes place tomorrow at Nippon Gaishi Hall in Nagoya, Aichi, Japan. The event features three female fights including a shoot boxing match between four-time Girls S-Cup tournament winner Rena Kubota and Chute Boxe fighter Cyndi Alves, who makes her Rizin FF debut. In MMA bouts at Rizin FF 1, BJJ world champion Gabi Garcia faces Anna Malyukova in an open-weight contest, and standout wrestler Kanako Murata meets Natalia Denisova at 115. MMARising.com spoke with Kubota, Garcia, Murata and Denisova ahead of their fights on tomorrow’s Rizin FF 1 card. Kubota: I’m excited for this fight. My training went very well. This is a shoot boxing match, so it was easier to prepare. I hurt my fist during my New Year’s Eve [MMA] fight, so I was worried last time. This time, though, I get to compete in shoot boxing. My opponent looks like a strong fighter and she has come to fight. She has said that she won’t get knocked out and that she will knock me out, but I will knock her out for the first time. Shoot boxing is in some ways similar to MMA, so I think that it appeals to MMA fans. How I can bring that charm and appeal of shoot boxing to MMA fans is what I am focused on this time. MMA fighters can easily adapt to shoot boxing, and some MMA fighters use throws as their main attacks while shoot boxing. I want people to understand shoot boxing’s appeal in that aspect as well. Garcia: I feel good this time. I had huge pressure on me last time, but I’ve trained a lot and developed my confidence. I felt that people were expecting a lot from me in MMA, just like in jiu-jitsu, but I only had six months of MMA training for my first fight. I have no memory of the fight from after I got knocked down. My MMA debut came at a big event and that’s rare, and that was why I felt so much pressure. Jiu-jitsu taught me about hard work. In MMA, a single punch can ignite a career. Knowing that is what made me think that I could have a great MMA career with many sponsors. A single punch may also ruin my career, but that’s why MMA is so interesting. I’ve watched [Malyukova] compete in grappling, but I had grappling career as well and this will be like a chess match. We both have judo backgrounds and I will counter her judo throws. I think that she has a strong heart and she doesn’t talk much like Americans do. I think that she wants to throw leg kicks and she may bring me to the ground, but I don’t think it’s a good idea. Even on the bottom, I have options. For this event, a boy named Kenzo who has autism will be sitting near the ring. He only reacts when looking at my photos or watching me compete. I feel that it is fate that I fight in Nagoya where Kenzo lives. In the past, fighters fought for pride rather than money. I fight for pride and I will bring pride to the fight like a samurai. Murata: I had to cut more weight for this fight and I am at a lighter weight than in wrestling, but I did all that I could in preparation for my MMA debut. I trained at Me’We gym with Yokota and I feel that I am improving every day. After I get a takedown, I think my judo experience will make it easier for me to prevent my opponent from standing up. Fighters who only wrestle just aim to take opponents down, but I feel that I can also trade strikes now after my training. Saori Yoshida said that I will fit in well in MMA because I am mentally strong, and I really appreciate her support. Denisova: I was offered this fight three weeks ago and I began training hard with Gladiator Fight Team. [Murata] is a respected wrestler, but I to want to win with full control of the fight. I’ve always wanted to be an MMA fighter, and I sought out opportunities to train, so my background is not in one discipline. I like that MMA has fewer limitations than some other combat sports, and that is why I chose it.